Jim Furyk is showing no signs of slowing down after his solo 2nd finish at THE PLAYERS Championship, defeating Jason Day yesterday by 2 holes. Paul Casey, hot off of his Valspar Championship win, had the one of the biggest beats of the day defeating Abraham Ancer 5 and 3. Keep an eye on this through the weekend (you know, in between March Madness, baseball Opening Day, NBA, NHL, and Netflix) because it will definitely be pure fun golf. 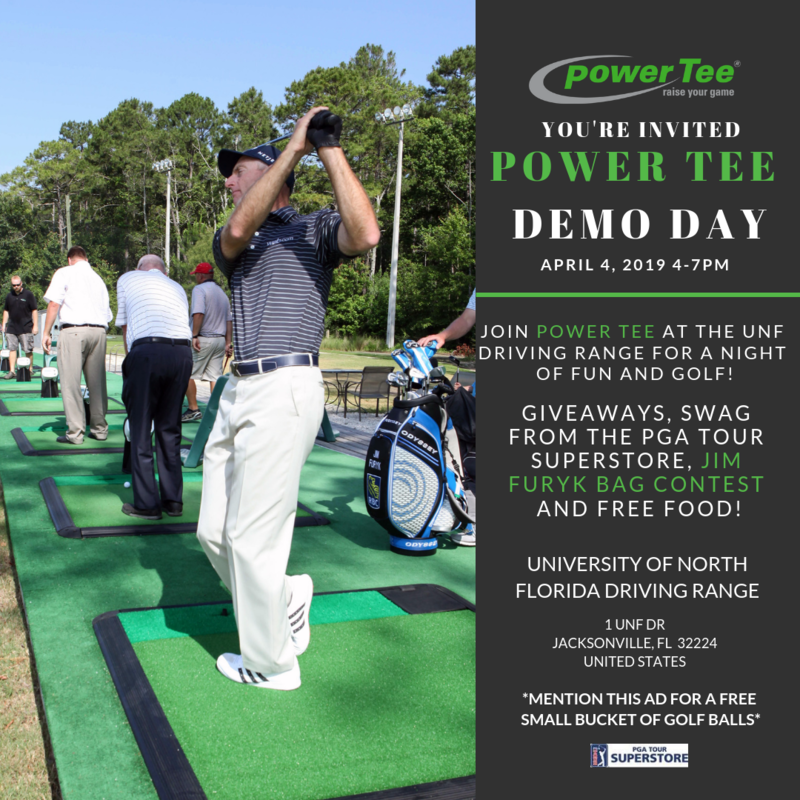 Speaking of fun golf, if you're in the Jacksonville area (and if you're not but you love us and want to come anyway), come out to our first Power Tee Demo Day next Thursday! If you come out to the UNF Driving Range on April 4 from 4-7pm, not only will you get a free small bucket of balls and free pizza, which are already two of the greatest things in life, but you'll also get the opportunity to win awesome raffle prizes from the PGA Tour Superstore and a Jim Furyk signed Callaway bag! Invite your friends, your family, your coworkers, your neighbors, your mortal enemies, and your weird uncle. We'll have a great evening full of golf, pizza, prizes and fun for all!